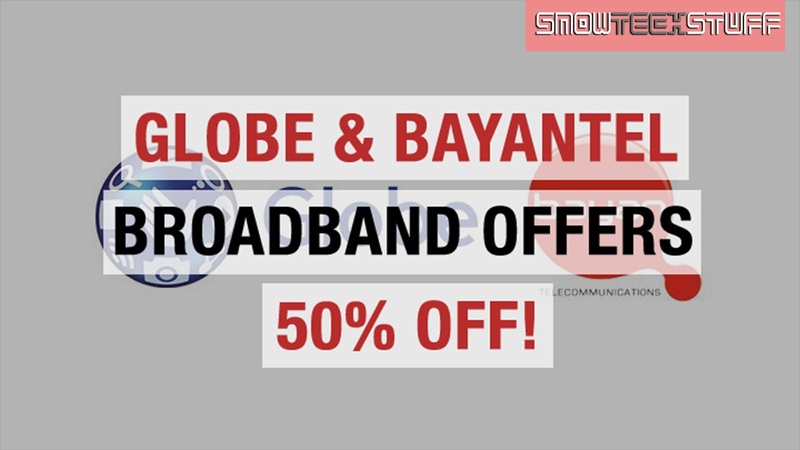 GLOBE & BAYAN BROADBAND OFFERS 50% OFF! Looking for an ISP for your home broadband this Christmas? 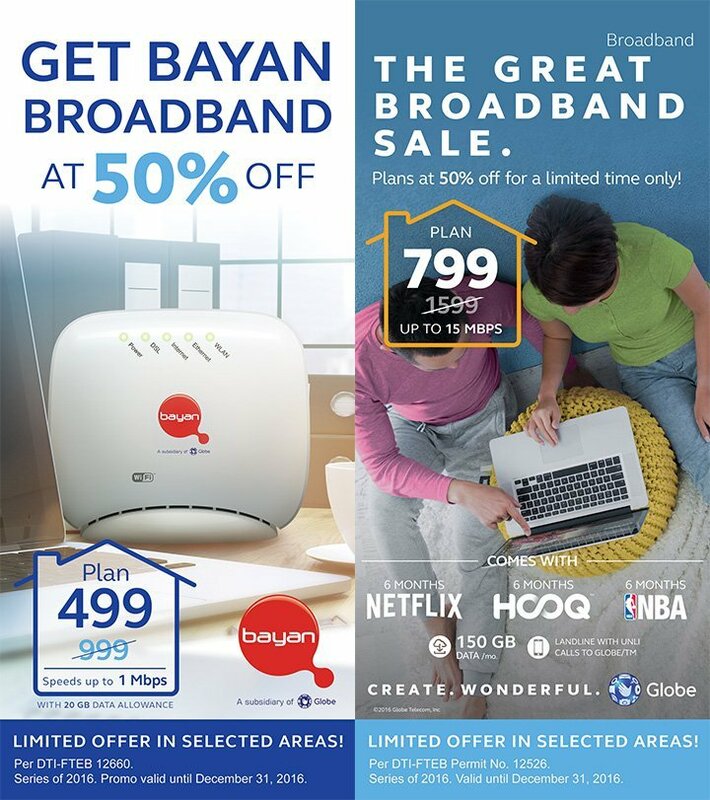 Globe Broadband and its subsidiary, Bayan, are offering their broadband plans 50% OFF! UNTIL DECEMBER 31, 2016! These plans come with a FREE Wi-Fi modem. Plan 1199 and above comes with a free landline with unlimited calls to Globe and TM. Plan 1299 and above includes Netflix, HOOQ, and NBA League Pass for six months. These plans come with a FREE Wi-Fi modem, but Plan 1199 comes with a free landline with unlimited calls to Globe and TM. These offers are only available for new subscribers and in selected areas until December 31, 2016. Inquire directly to Globe/Bayan to know more, i.e locations included, etc. Also, the standard 24-month lock-up period applies.